You must complete the MyPension Activation Request webform to request access to your MyPension account. All fields marked* on the webform must be completed. If you enter data (Date of Birth, National Insurance Number, Home Address) which conflicts with details held by Merseyside Pension Fund, your application may be rejected. If you have not informed us of a recent change of address, please do so here before completing your MyPension Activation Request. You must correctly complete the CAPTCHA at the bottom of the webform before submitting it. 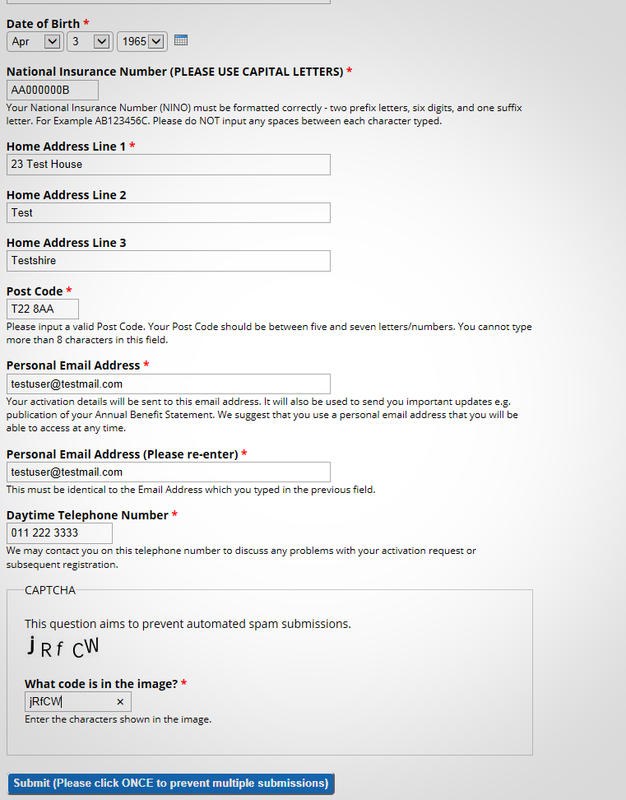 A CAPTCHA is a type of challenge-response test used in computing to determine whether or not the user is human and prevent automated spam submissions. Please enter the characters exactly shown in the image using upper and lower case text as appropriate. When you have entered the characters, click 'Submit' once to send your activation request. If you click the 'Submit' button more than once, multiple submissions of your form will be received by Merseyside Pension Fund and will delay the activation process. Your request will normally be processed within 5 working days*. Please do not submit a further activation request during this time. *All webforms submitted when the office is closed (i.e. weekends, Bank Holidays and over Christmas and New Year periods), will be processed as soon as possible when the office re-opens.